Beyond Boundaries- Show now open! "Beyond Boundaries," Signature's newest Group show kicked off June 4. Come see what our members believe is one of our strongest shows yet! 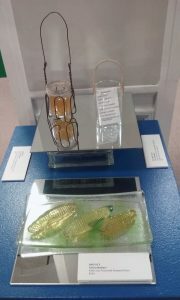 This great exhibit is up till June 24 at the Art Center of Battle Creek.Here is just a sample of that stellar show! . Art Prize 9 is almost here! This year, Things of Steel (Katherine Martin and Michelle Zorich) have made a compelling work of steel titled "Words Can Hurt You." This installation will be in the Grand Rapids Brewing Company and on display September 20 through October 8, 2017. Be sure to see it, and remember to sign up and vote! 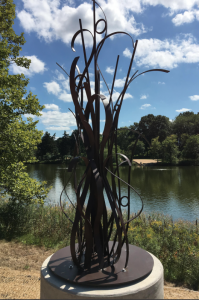 Visit the Art Prize site to learn more! Celebrate! 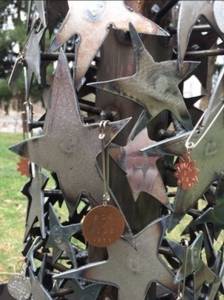 Join Things of Steel, Katherine Martin and Michelle Zorich, as they ring in 20 years of creating unique and glorious steel art! 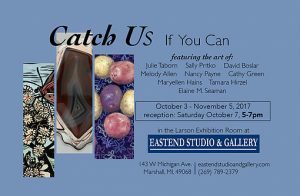 Stop by their Kalamazoo studio at 432 Paterson to see their latest "furnishings for the fearless", September 30, 2-6 pm. First United Methodist Church, 111 East michigan Ave.
Jeanne Fitzgerald is exhibiting now at the First United Methodist Church in Battle Creek - now through end of October! 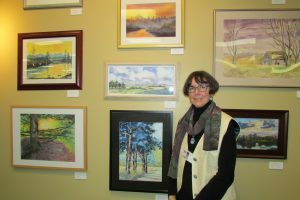 In this December 2016 photo, Jeanne is standing in front of her amazing work. Visit the Kalamazoo Institute for the Arts to see our participating members: Dawn Edwards, Gretchen Huggett and Melody Allen! This show runs now through December 31. 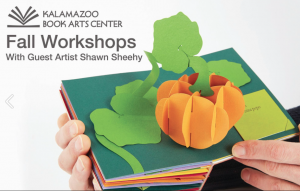 Lorrie Abdo, Signature's distinguished Paper artist recommends the Kalamazoo Book Arts Center's workshop October 7 & 8 with visiting artist Shawn Sheehy from Chicago. For more info, please visit their Workshops page. 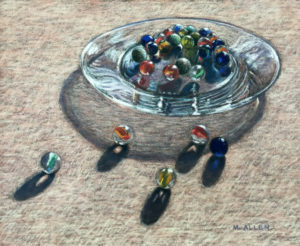 Start the month of May off right with Melody Allen's exhibition of pastels. During the May 4, 2018 Art Hop. 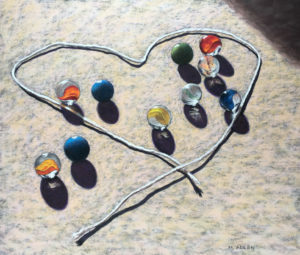 Location: Artisan Sandwich Co., 348 S. Kalamazoo Mall, Kalamazoo, MI 49007 Time: 5:30-8:30 p.m.
Congratulations to Melody Allen who has two pieces accepted into the Great Lakes Pastel Society's National Exhibition! 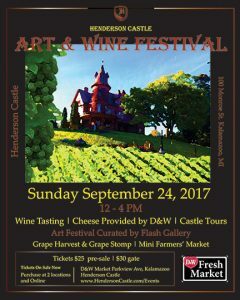 This event is at the Holland Area Arts Council, Holland, MI. May 18- July 7 Awards reception May 25, 6-8 p.m Please visit website for hours.